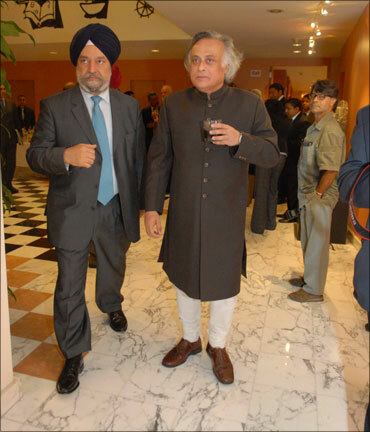 Environment Minister Jairam Ramesh on Monday said he is not sure countries like the United States are prepared for sustainable development which for people of developing countries like India is a question of livelihood. "Sustainable development for countries like India is a question of livelihood n India and therefore we are very conscious of it. But in countries like the US, it is related to lifestyles,' Ramesh said in response to a question on the sidelines of a meeting with Alliance of Small Island States at the permanent mission of India in New York. Ramesh, who spoke at the United Nations High-Level Panel on Global Sustainability to find a solution to challenge of lifting people out of poverty while promoting sustainable development, said he feels that the US is not ready for the UN sustainable development goals. "Is the US prepared for sustainable development? The answer I think is 'no'. But if you ask if India is prepared for sustainable development, I would say the answer is 'yes' because a large majority of our people is faced with the challenges of sustainable development on a day-to-day basis. 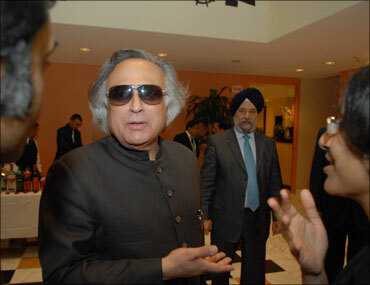 But it is not entirely clear to me that the US is prepared to make those types of sacrifices that are required for meeting the challenges of sustainable development," Ramesh told rediff.com. Ramesh on Sunday attended what he called "the initial, exploratory meeting" of the Global Sustainable Development high level panel on which he has been nominated a member by UNSG Ban Ki-moon last month. 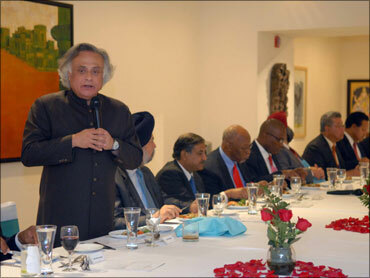 Image: Environment Minister Jairam Ramesh at a meeting with AOSIS representatives in New York. Ramesh said that the meeting was useful in terms of his being able to impress the members about India's perspective on sustainable development. "I think we were able to drive home the point," he said. But he mentioned that some members wanted to convert this meeting into a forum for climate change, but that he was "very clear and categorical" that the purpose of this panel is not to provide another forum for pushing the climate change agenda. 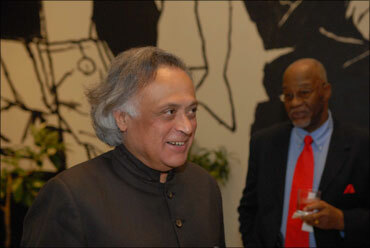 Ramesh said that India has offered to host a meeting of the global sustainability panel sometime in 2011. Asked for his take on the two-day Major Economic Forum meeting that began on Monday, Ramesh said he felt that this is another forum for discussions on climate change. "But frankly, we are not headed anywhere at Cancun, Mexico in November. I said this morning that I do not expect any breakthrough at Cancun. The challenge is to avoid a breakdown. The fast track finance of $30 billion from the developed countries is nowhere in sight. Unfortunately many of the commitments that have been made by the developed countries have not been fulfilled," Ramesh said. "India has made unilateral commitments (towards this) and we are working very closely with China and the basic group of countries. As our Prime Minister said and I have repeated 'we didn't cause the problem of global warming, but we must be part of the solution," he said. "I must say that we must be pro-active, constructive and working with the world community and not be in a confrontational mode with the developed countries," Ramesh said. Secretary-General Ban on Sunday issued a challenge to the newly-created High-Level Panel on Global Sustainability to find a solution to challenge of lifting people out of poverty while promoting sustainable development. By 2050, the world's population will have grown by almost 50 per cent, and global greenhouse gas emissions will have to be slashed by half by that year if climate change is to be kept in check, Ban told reporters after the body's first meeting. Calling it the '50-50 challenge,' he told reporters, "We will need to provide a dignified life for nine billion people while at the same time preserving the resources and ecosystems that sustain us." Last month, Ban unveiled the 21-member body to which he nominated Ramesh. The co-chairs are Finnish President Tarja Halonen and South African President Jacob Zuma. During the meeting, the panel discussed its work for the next 15 months, and is set to report back at the end of the year. The panel's final recommendations will be delivered to the UN Secretary-General at the end of 2011. To a question on Small Island States, with which India is increasing engaging, Ramesh said that India is going to start a programme of technical assistance to help some of these countries adjust to climate change. "We are contributing $1 million to the SAARC coastal zone management center in Maldives. We have given $1 million for the SAARC forestry centre in Thimpu in Bhutan. India is very conscious of the need to engage this group of states. I hope that the interaction that we are launching today unilaterally will move forward," the Ramesh said, adding that India has good political relations with many of these counties that are in its region. "Some of them are of strategic importance to us as well."